Did you know that a staggering 2.23billion people worldwide have a personal Facebook account they use on a regular basis? What might surprise you even more is that predictions indicate that within the next few decades, the social media giant will have more online profiles of deceased people than those living. Over recent years, St Luke’s social workers – who support patients and families across the community – have witnessed a gradual shift in the way bereaved people are accessing records that capture the treasured memories they have of their loved one. Where once they reached for the album packed with family photos, increasingly they are going online to social media sites, such as Facebook, to access those precious pictures and recollect happy times with the person they’ve lost. In her work as a Social Worker for St Luke’s, Danielle Brown supports patients both at home and at our specialist unit at Turnchapel. She’s there to help them emotionally and also in practical ways, and her support extends to their family members, too. 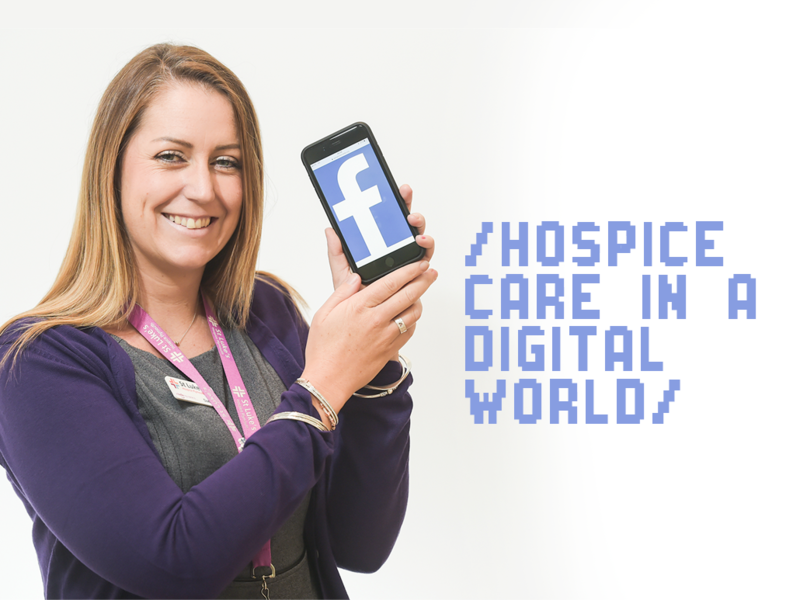 As Danielle has observed, while digital platforms can be very positive in helping the bereaved, unfortunately they can have a negative impact, too. This raises an important point – have you thought about who will take over your digital legacy? At St Luke’s we encourage open conversations with friends and family about end of life wishes but the online ‘life’ can easily be overlooked. That’s why we’re heartened to see that Facebook has taken a proactive, compassionate stance on the issue by introducing a Legacy Contact function. It’s actually been around since 2015, but is not widely known about. So, how does the feature work? Thankfully, it’s straightforward! You can nominate an individual to have access to your Facebook profile when you die and have your profile ‘memorialised’, removing your profile from automated functions like birthday reminders and friend suggestions. Your nominated individual will have to contact Facebook before the legacy function can be activated and, importantly, they can’t log on as you and will not have access to your personal messages. However, once the function is activated the individual can post on your behalf to publish funeral arrangements. They can also change the profile picture, respond to friend requests or close down your account. In addition, when you nominate your legacy contact you can give permission for them to download the data archive containing all the posts, photos and videos from your profile. If you’d prefer not to have a legacy contact, you can let Facebook know you want your profile deleted upon notification of your death. To access your legacy contact, simply click settings from a desktop pc, then general, then manage account, where you will find the legacy options. And finally, remember to have those open and honest conversations with your nominated person to ensure they manage your digital legacy in accordance with your wishes. That way, you’ll not only have peace of mind about your virtual world but make things that little bit easier for those nearest and dearest to you.